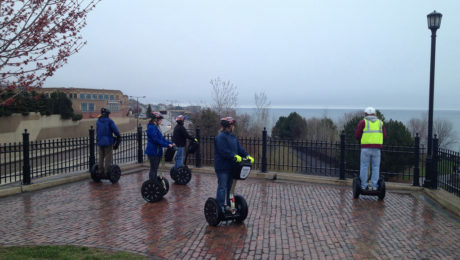 Don Sipola – Duluth Glides – See Duluth on a Segway! ★★★★★ “This tour really was AMAZING! 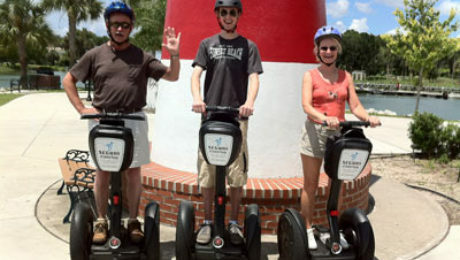 Our tour guides were so wonderful and made sure everyone was skilled and comfortable on their segways before we started. This turned out to be one of our favorite things to do in Duluth. We saw so many amazing sites and got so much information from our tour guides. Our tours run rain or shine, hot or cold. 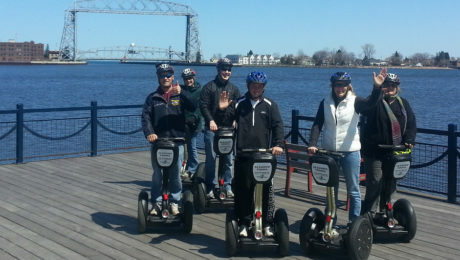 Please wear weather appropriate attire, and remember, it is usually “Cooler by the Lake” here in Duluth and riding the Segway does create some “wind chill”. This brave crew had stocking hats under their helmets, winter gloves and winter jackets. But boy did they have fun! “Whahooo”… The Most Fun Ever!